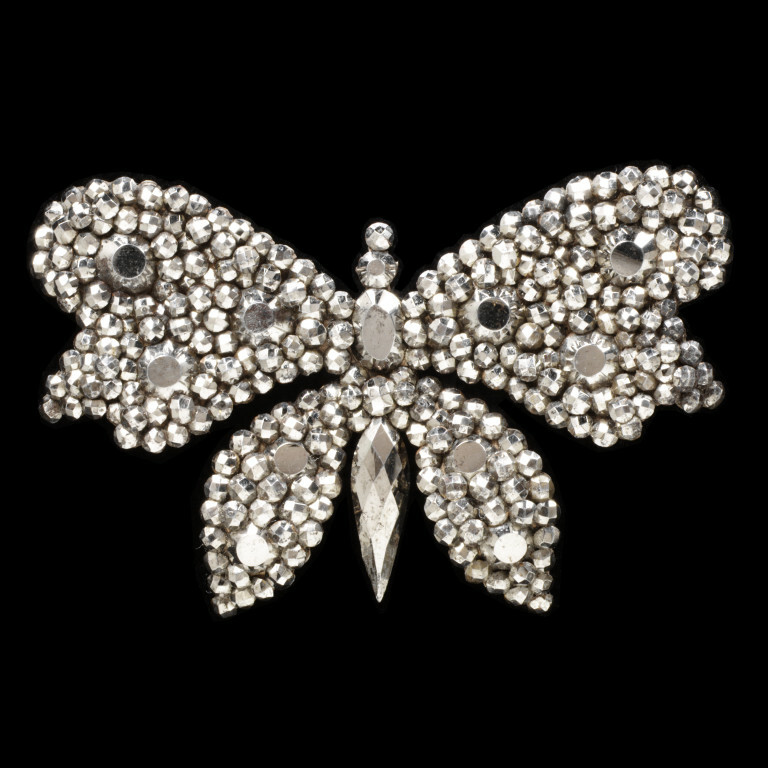 This butterfly brooch is typical of the cut steel goods exported from France to much of Europe and America in the second half of the nineteenth century. 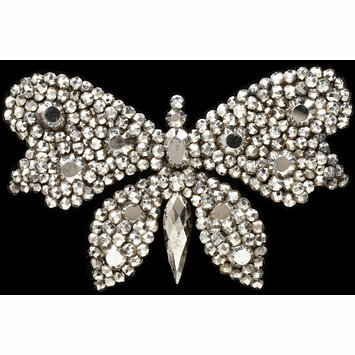 The flourishing trade was bolstered by the need for jewellery to wear during periods of secondary mourning (an interim period between full and semi-mourning in the Victorian era) as well as by fashionable status. 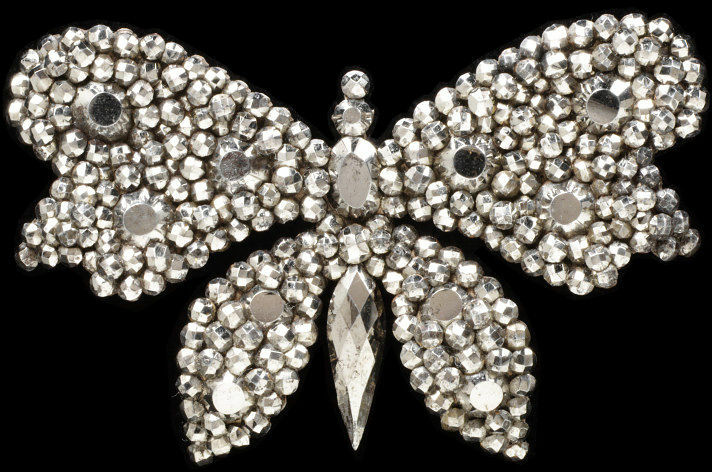 In London in 1882 it was reported that steel butterflies had begun to perch on bonnets. In the form of a butterfly. The wings, with curved tips, are encrusted with small fasceted steel studs with three larger flat topped studs on the upper sections and two on the lower sections. The body is made of a long tapering stud with diagonal fascets at the bottom and oval and circular flat topped studs. A pin runs horizontally across the upper part of the wings.